The Freeze Guard TempShield canvas is an excellent reflector of radiant heat to protect the Cla-Val valve from exterior UV rays and internally insulated against freezing. The Freeze Guard TempShield canvas is lightweight, strong, puncture and tear resistant. The custom fit allows easy access for all valve maintenance or service. 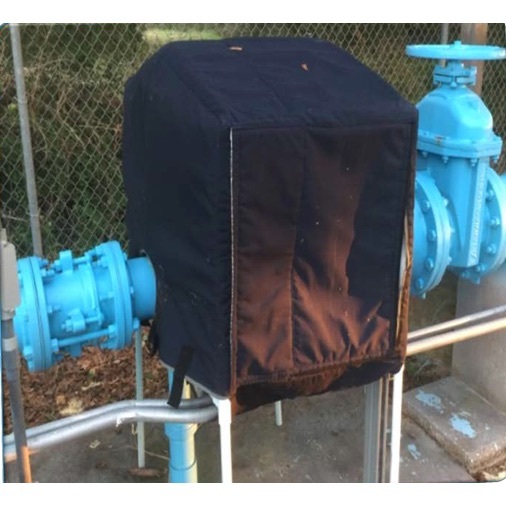 The PVC frame is non-corrosive and built to fit each size CLA-VAL pilot systems.